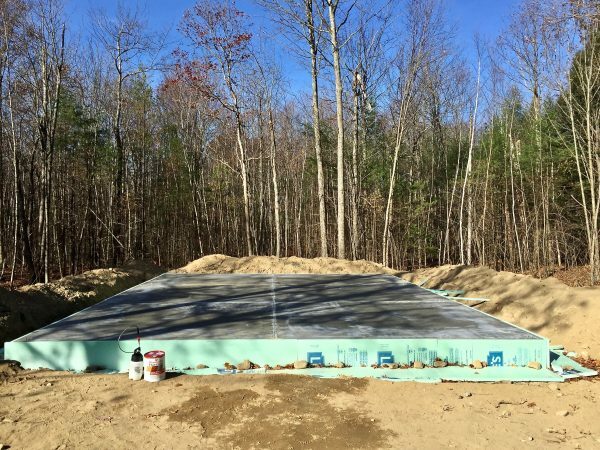 This week the slab was poured and finished. 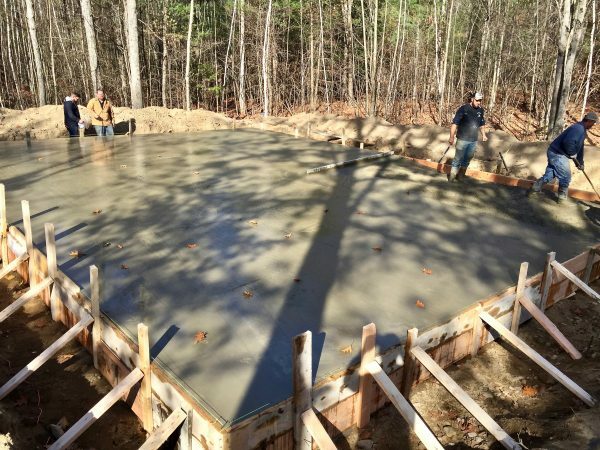 The crew setup the forms and poured in a single day. 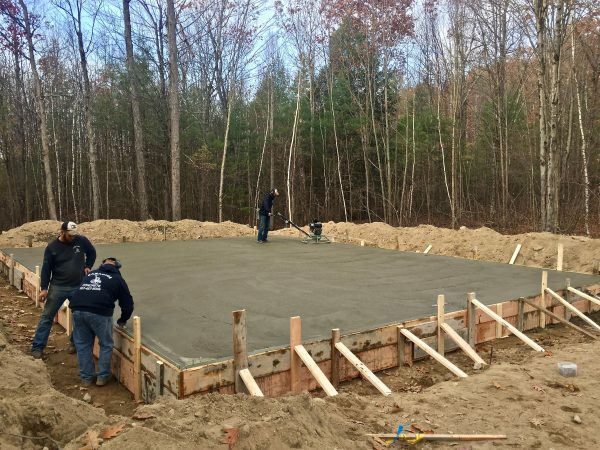 They ended up needing 16 cubic yards of concrete to fill the large footings and maintain at least 4in of thickness in the center. 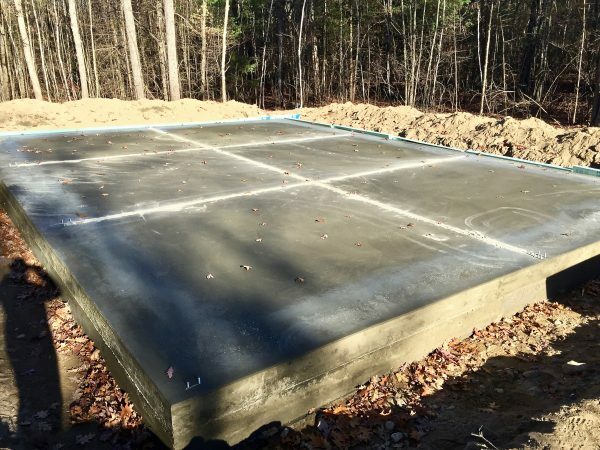 They used a machine to level and smooth the concrete, but because it was a relatively cold day, the concrete took longer to cure than they had expected. They had even added calcium to the mixture to accelerate curing, but fall is here and, as they say, winter is coming. The final finish had to be done by hand, after sundown, by the headlights of their work trucks and a small LED work-light I rigged up on a ladder. The next day insulation was added to the perimeter of the slab. Frost goes down about 4ft in the dead of winter around here, so every little bit helps. Finally, a coat of water-based sealant was applied. 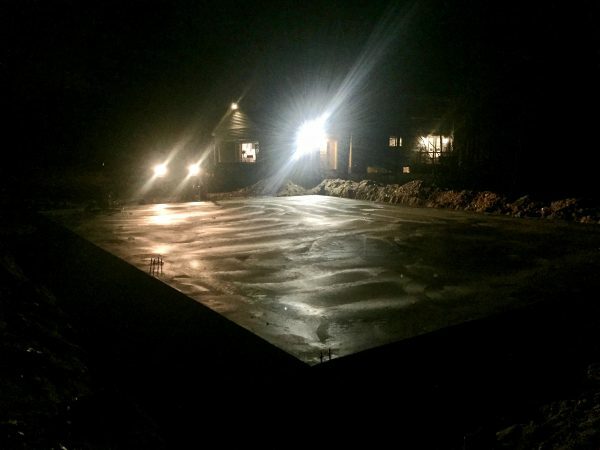 Since the slab will sit out all winter before it’s covered by a building, this is a very important protection against freeze damage.